PNG Rugby League World Cup 2017 (RLWC2017) is delighted to announce SP Brewery as Official Platinum Partner. Andrew Hill, RLWC2017 CEO said the Rugby League World Cup will be the biggest event in PNG this year and RLWC2017 is pleased to have the support of one of the country’s leading companies, SP Brewery. Hill concluded that SP Brewery is synonymous with rugby league in the country and they are looking forward to partnering with SP Brewery to deliver the greatest ever Rugby League World Cup. 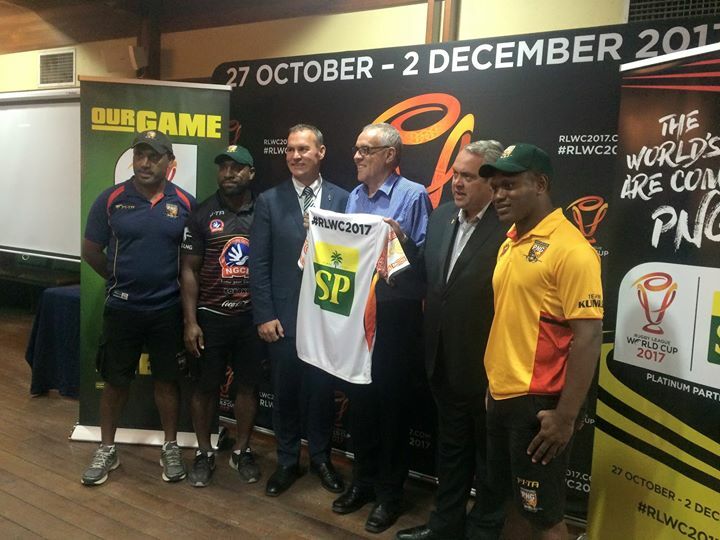 Managing Director for SP Brewery Mr Stan Joyce said they are happy to partner with RLWC2017 this year. Mr Joyce said rugby league is still by far the most popular sport played and watched across the country and the company is happy to continue their partnership in Rugby League in the country.